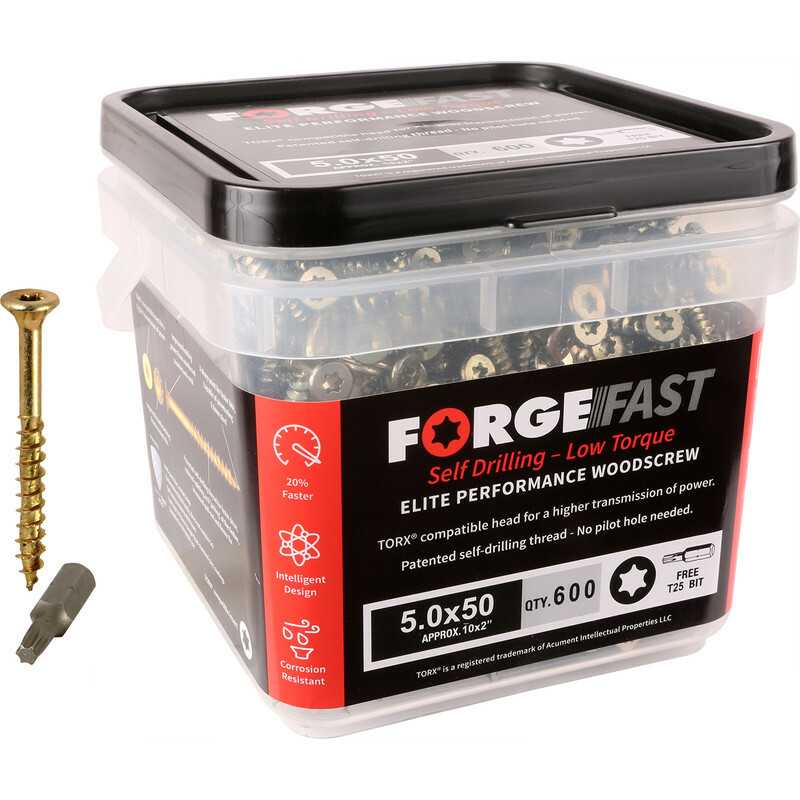 Elite performance wood screw. Proprietary self drilling thread. 20% Faster, 25% lower torque. Elementech 400 corrosion resistance. CE approved. Torx bit included in each tub.